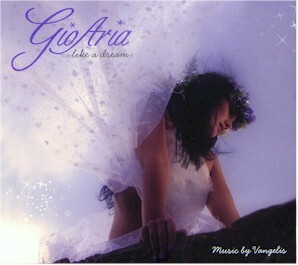 Giorgia Fumanti; (Pseudonym GioAria) (born February 22, 1975) is an Italian soprano, composer, producer and arranger. She now lives in Canada. All music composed by Vangelis. Chariots of fire: lyrics by Jon Anderson. The song "Chariots of fire", is a vocal version based on the Chariots of Fire main theme: "Titles" from the Vangelis album Chariots of fire. Produced by Alain Sauvageau, Guido Diodati and GioAria. Hesitate when love would dance with a stranger? pæ dü le pa tus dac. pe a su mon ah tu na. sar male giac ef ma. cas do le pa ta..
* It is neither wordpainting, nor pseudolatin, but just an invented language based on sounds. The transcription is in phonetic Italian.